Inverurie Precast is a family company operating for over 25 years, based north of Aberdeen. They manufacture precast concrete. Amongst other things this is used for window sills, door steps and bridge units, and their market sectors include Construction, Farming, Horticultural and Oil Industries. 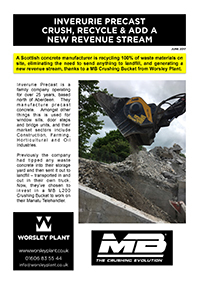 Previously the company had tipped any waste concrete into their storage yard and then sent it out to landfill – transported in and out in their own truck. 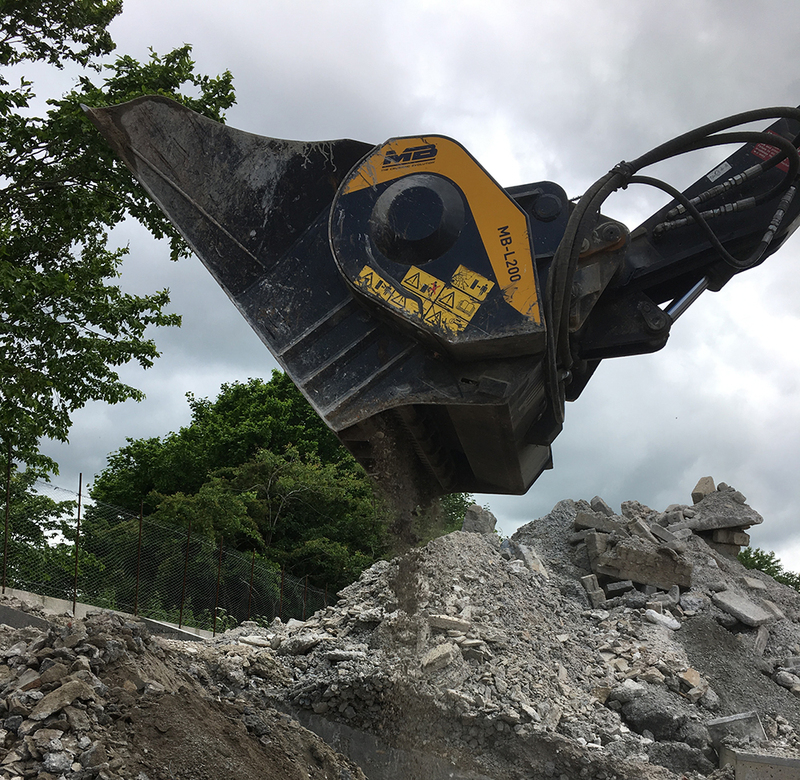 Now, they’ve chosen to invest in a MB L200 Crushing Bucket to work on their Manatu Telehandler. Jason Adie, Director of Inverurie Precast had been to BAUMA 4 years ago and seen MB’s crushing buckets in action. Therefore he was aware of how they worked and the potential benefits gained from them. 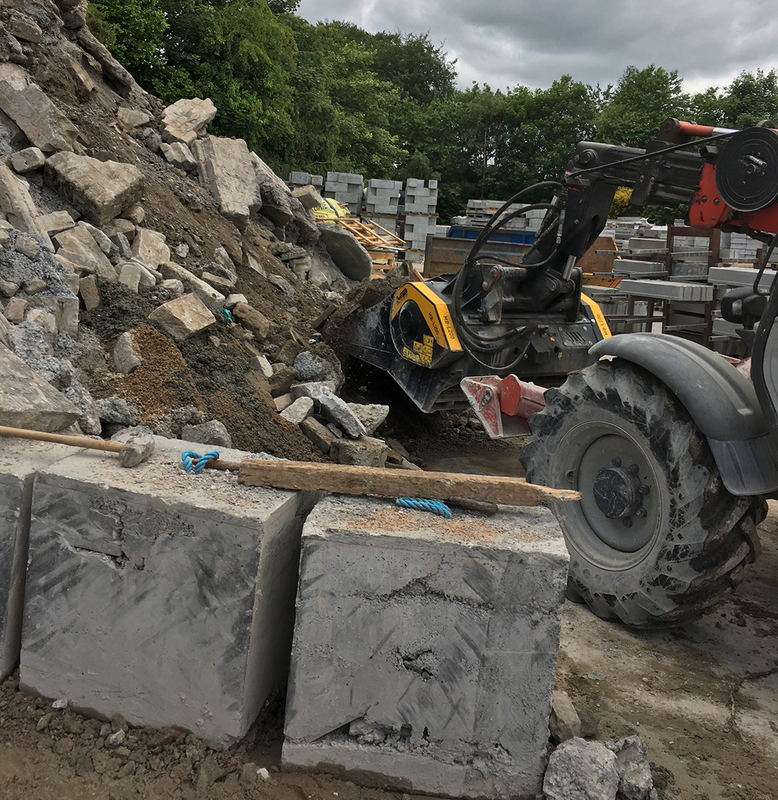 More recently Jason watched a video from Worsley Plant on the internet and approached David Marshall, Scottish Area Sales Manager for a trial. The bucket did exactly what he wanted so they decided to buy it.